It’s easy to try and knock Grant Pinkerton. He flashed onto the Houston Barbecue scene quickly after doing primarily tailgate parties and catering, wowed the press, and was slated to open a brick and mortar by August of 2015 in the vaunted River Oaks neighborhood. The quick rise to prominence and heavyweight financial backing did not impress some who didn’t expect such fanfare from a young man who hadn’t yet cut his teeth slinging barbecue on the side of the road or in less glamorous positions. It was a bit of a flash in the pan as well. 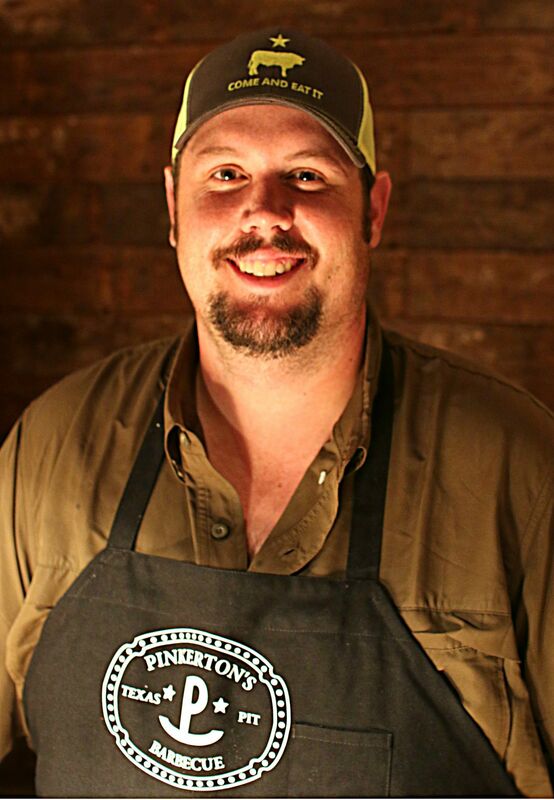 In 2015 there appeared to be about nine popups for Pinkerton Barbecue, an appearance at the HOUBBQ festival, and a few days where you could bring you’re own raw brisket to be cooked while he was testing and tweaking his new mobile pit. The deal in River Oaks didn’t pan out and eventually a new location was secured on Airline North of I10. 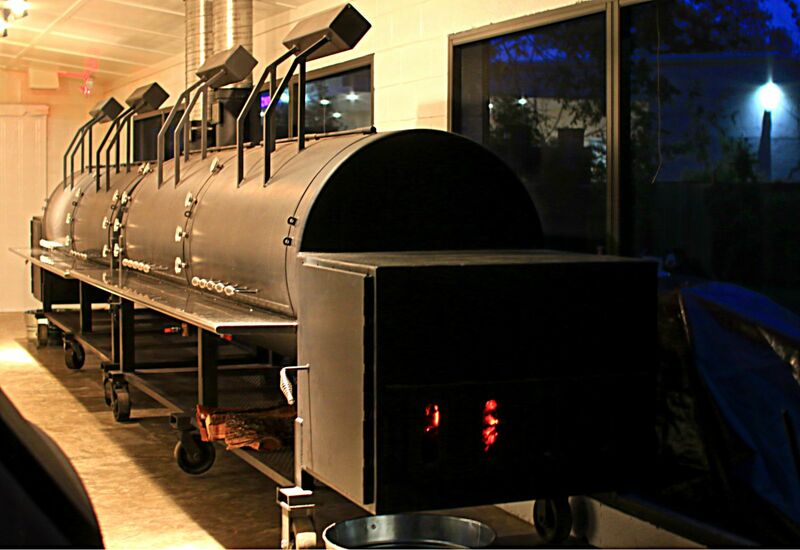 Then in 2016 we didn’t see much of Pinkerton, who participated in HOUBBQ’s Super Beef Sunday and the Houston Barbecue Festival, and the first ever Woodlands Barbecue Festival, but I could only find news of a single popup in June of this year. Houston’s infamous permitting laws and a serious build out of the existing building dragged out the opening date through the summer and into the fall, bypassing some of Houston’s better weather. In the time it took Pinkerton to open one restaurant, Ronnie Killen moved his steakhouse to a new location, opened up a burger joint in the old steakhouse location, started serving at NRG stadium, and launched his steakhouse-barbecue hybrid STQ which officially opened on December 5th, almost a week before Pinkerton will start daily service. All of that said, the anticipation was high for Pinkerton’s new joint. During the time between popups and brick and mortar he had placed in multiple most anticipated openings, landed a spot in J.C. Reid’s 8 young guns of Houston barbecue, and even won an online readers poll for best barbecue in Houston. 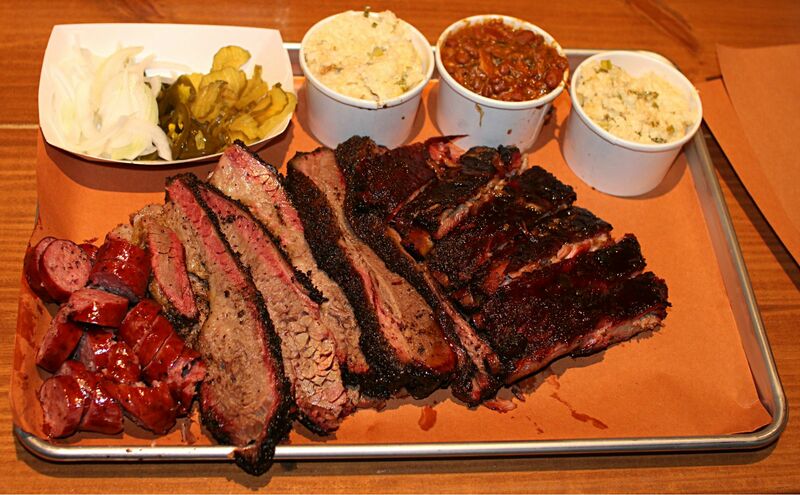 At his first River Oaks popup a review of his smoked meats were called destination quality. The Chronicle used “legend” to describe him in one link in 2016. It would be very hard for any pit master to live up to the hype, let alone a young one with comparatively less experience than most. I’d had Pinkerton’s at that first popup and at the Houston and Woodland’s festivals. What I did know was that he could could kick out some quality smoked meat. I think the press was a little over the top but I still knew that this wouldn’t be a fluke. 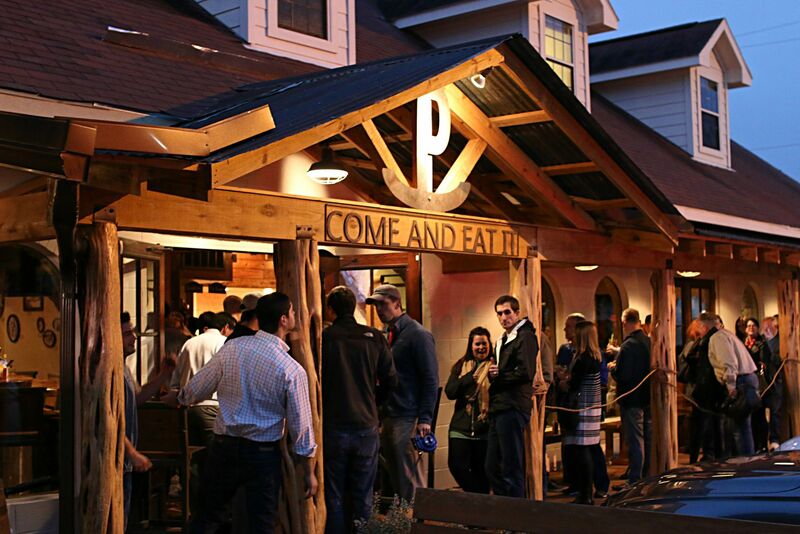 On December 3rd Pinkerton swung open the doors for a bit of a sneak preview. Essentially the restaurant was open with a normal menu but would be closed the following week to work out any issues with service. I first rolled in around 3pm hoping to miss the first rush but my plan was foiled and the line extended around the side of the building. Parking wasn’t a problem, though, and I snagged a spot right up front. Scott Sandlin and Corey Taylor were in line toward the back so I chatted with them for awhile but the line had barely moved in 15 minutes while we spoke. I estimated about 100 people in line at that point. I waited a little more then broke free, making a quick run down to Pappa Charlies for some quality brisket and mac and cheese. Yes, I’m that impatient and can and will eat barbecue before I eat barbecue. After a chat and a leisurely drive back to 1504 Airline I jumped back into line, which was around 80 people deep. I peeked inside expecting Scott and Corey to be finished eating but they were still in line and only a few feet before the counter. Ducking inside I handed some cash to Corey to add a little extra to his order and grabbed a table. By the time the food arrived they had waited two and a half hours. Visually the food was hitting on all cylinders with ample moisture, color, and bark. I grabbed a hunk of brisket and was impressed; good flavor, great amount of render on the fat, nice rub, and a definite hint (but not too strong) of mesquite in the smoke. I tried a glazed rib (they sell both glazed and dry rubbed) which was ever so slightly overdone but flavor-wise was quality. A proper rib is tricky and many are either underdone and a tad chewy, or way overdone to the point of mush. Even my own have hit both sides of that equation. You definitely want one slightly over rather than slightly under though, and most barbecue fans wouldn’t be able to go beyond the taste to even bother with that critique. While Pinkerton does intend on grinding his own sausage in the future that day’s batch was commercial, understandable as it is time consuming and not something that one is likely to nail without practice. In addition, most restaurants that grind sausage will use at least some amount of leftover trimmings so the process requires a few days of business before having the time to collect the trimmings then season, grind, and stuff the sausage. The sides were better than I expected. The jalapeno cheese rice was, well, more “cheesy” than the last couple of times I sampled it and also had less of a jalapeno bite with just enough for flavor but not so much as to work up a sweat. The beans were a surprise. Unlike some places that pour it in far to heavy, there was little to no chili powder or cayenne and there was plenty of flavor without the heat. The coleslaw was tangy and tasted fresh. There was only one barbecue sauce we could find which was a sweet sauce with mustard. Not a vinegar based or heavy mustard base, but not a typical sauce found in Texas joints. It was good and would be a good sausage sauce in my opinion, but there is no need to dip the brisket or ribs into it as they have plenty of moisture on their own. One thing to note, at least on this day, there were no combo plates. While its not uncommon in Austin, meat sold only by the pound is a rarity in Houston and some joints have felt it necessary to offer plate options after complaints by those unaccustomed to the practice. Desserts were good and I had a small bite of cake, which is not a lie. Filled to the gullet, I wandered around inside a bit. The building itself has been recast from it’s many previous themes to something akin to a hunting lodge or old building you might see in west Texas. 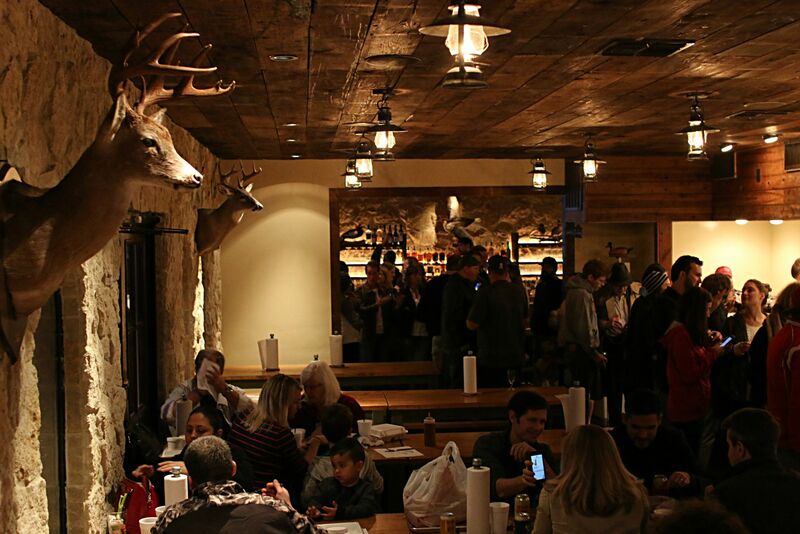 Mounted deer grace the walls, wooden community tables fill the floor, and a small bar offering up hard liquor sits off to the side. 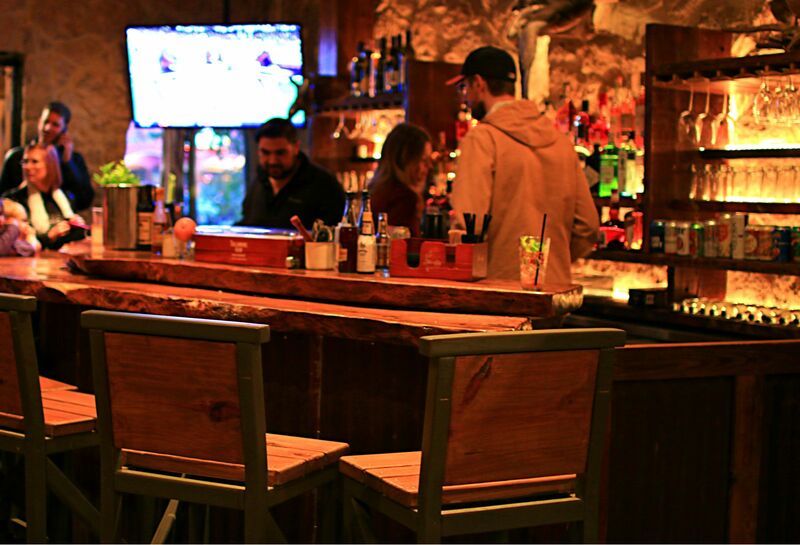 A beautiful oak counter top makes the bar very inviting and I believe that an after-work stop could be just the thing for those working in the area or downtown. For those wanting dinner service Pinkerton also plans on running service into the evening, which could help build a following from those in the heights area looking for quality dinner and drinks. Pinkerton is off to a solid start, and if he doesn’t run himself ragged with the extended operating hours, this will be a hot spot for lunch, dinner, and more. I’ll be back soon.